This route is suitable for active “on-the-go” groups who like to go off the gulet and explore but on the other hand love nature, swimming, snorkeling, and other water sports. Almost every day of your cruise you can visit a different town, see the sights, try the local cuisine, go shopping, and have a drink ashore. At the same time, you will have lots of opportunities to swim in a clear turquoise water of the Adriatic and enjoy beautiful beaches and astounding Mediterranean nature. 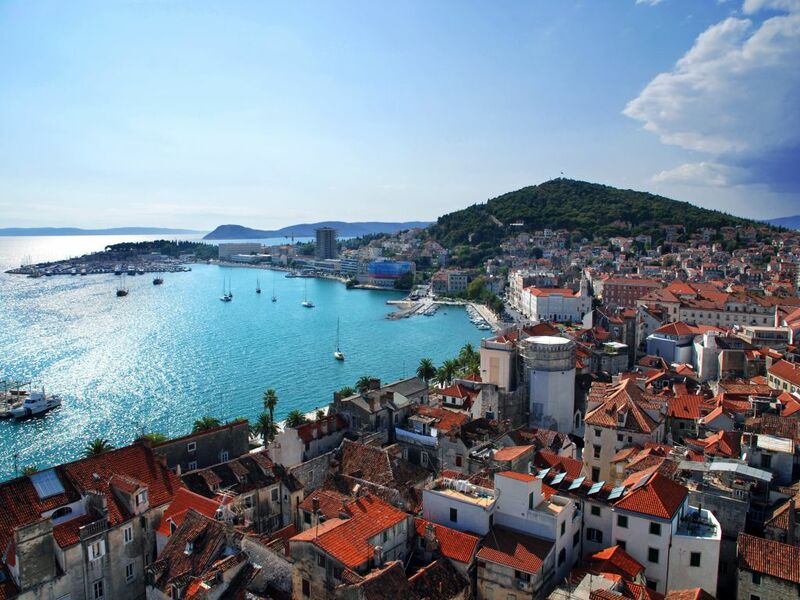 Thorugh the cruise you can visit all the essential Dalmatian islands like Brač, Šolta, Hvar, Vis, and Korčula and visit old coastal towns like Trogir and Split. The route offers you great flexibility and lots of opportunities for extra activities, trips, hiking, and sightseeing. It is a perfect combination of island hopping, swimming, and relaxation. You can start your holiday in Split or Trogir, two historic coastal towns with more than 2000 years of continuous urban tradition. You have a chance to explore these beautiful cities, there are a lot of options for sightseeing. Then you board the gulet and meet the crew with the traditional welcoming drink. These two towns are perfect starting points to begin your cruise. After check in and comfortable accommodation, the captain takes you towards the next destination. 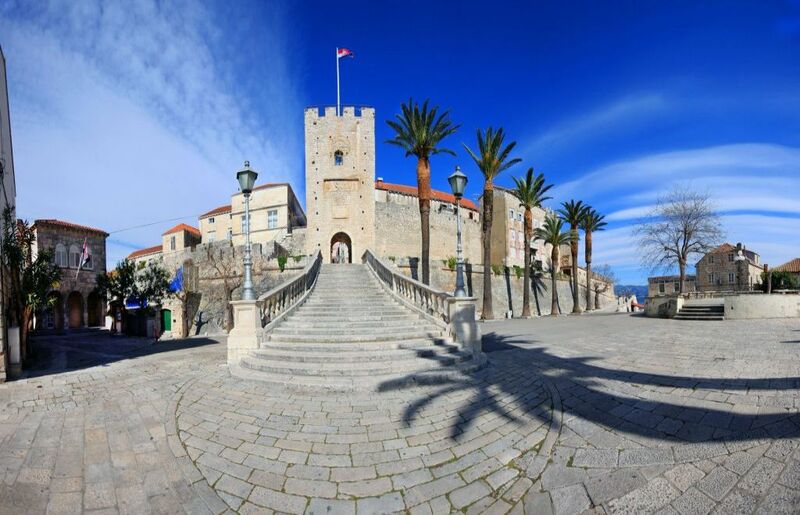 You can explore the beauty of Šolta, the island of olives, honey, and wine. Šolta is not widely known, it has no famous medieval churches, fancy restaurants or souvenir shops. 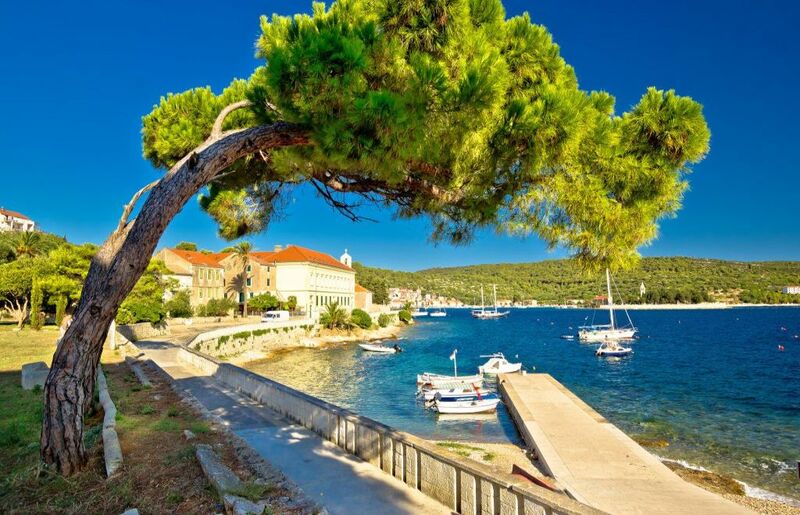 The quietness of the island and its greenery used to inspire Croatian poets. Šolta still remains unspoiled by mass tourism and upon the visit, you will get the feeling that time has simply stopped there. You will be able to enjoy a clean nature, breathe fresh air and truly relax your body and mind. This is an easy going trip where you can satisfy your taste buds with treasures of the local cuisine. 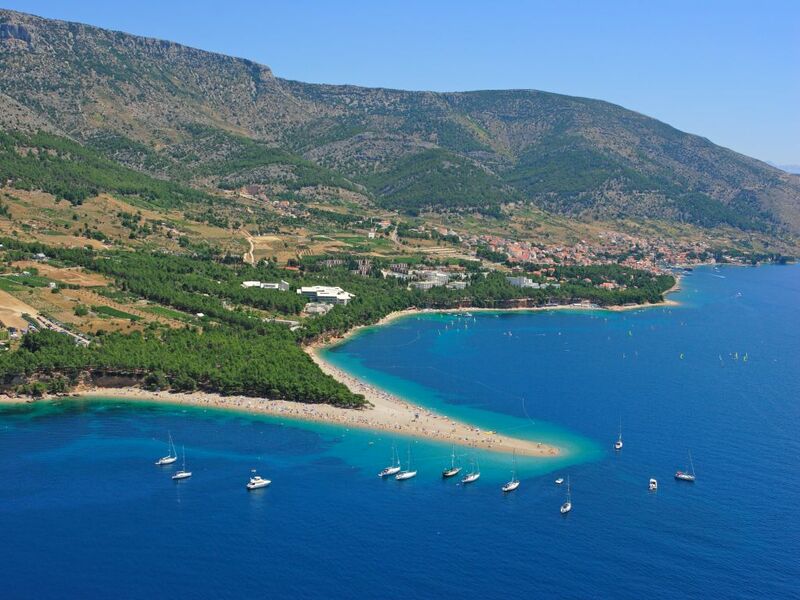 Next is island Brač with one of the best beaches in the world. Near the small town Bol on the southern coast of the island, you have a chance to swim and sunbathe on the most beautiful Adriatic beach known as Zlatni Rat (The Golden Horn). It is a beautiful gravel beach, surrounded by lavish pine forest, with recognizable white color and shape that keeps changing, depending on the tide, currents, and winds. You can also visit Bobovište, a picturesque village with nice and calm atmosphere and no heavy crowds, and Milna, a village in the western part of the island located in a natural harbor which is famous for natural beauties, baroque architecture, and shipbuilding tradition. 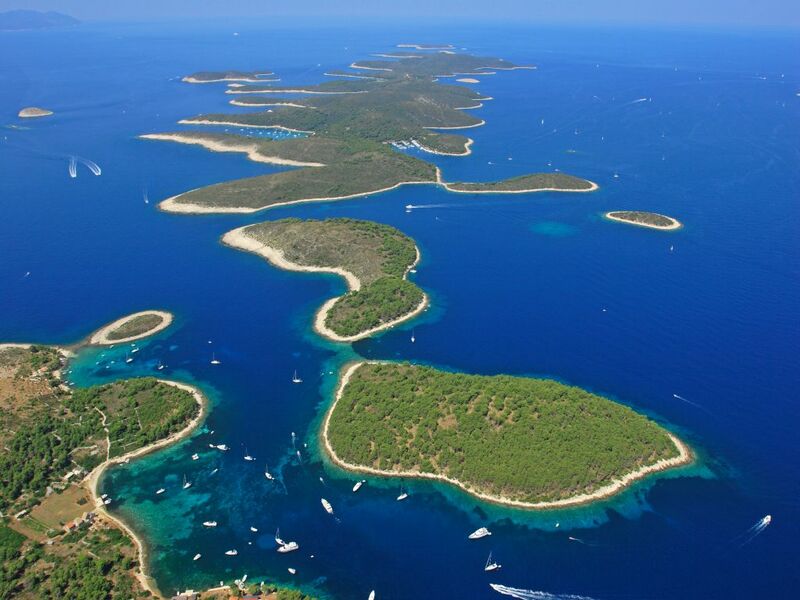 From Brač you can cruise to the island Vis, the furthest island of the central Dalmatian archipelago. It is equally known for its special cultural and historic heritage as for its natural beauties. 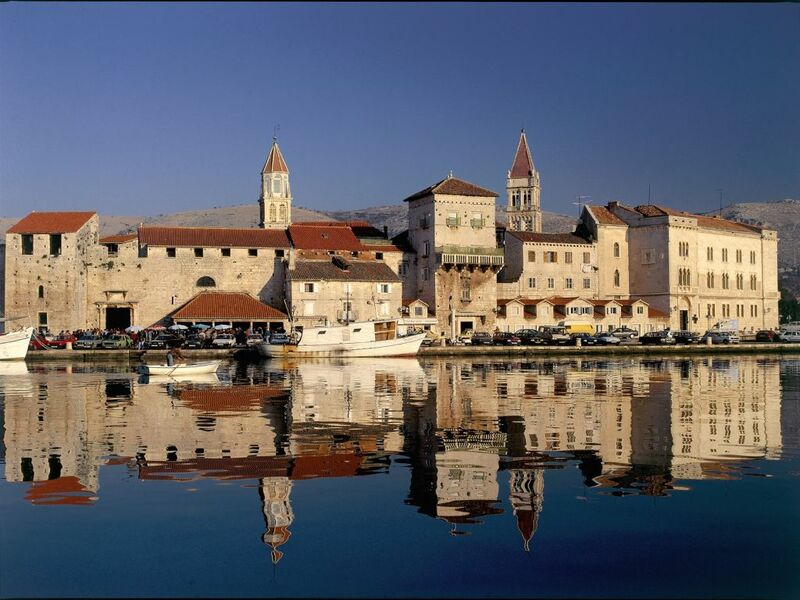 Two fascinating ancient towns are Vis and Komiža. Vis is a very picturesque town with attractive stone houses. Komiža is said to be around 850 years old. Island has an autochthonous wine named Vugava which you can try in numerous restaurants and cellars all around the island. 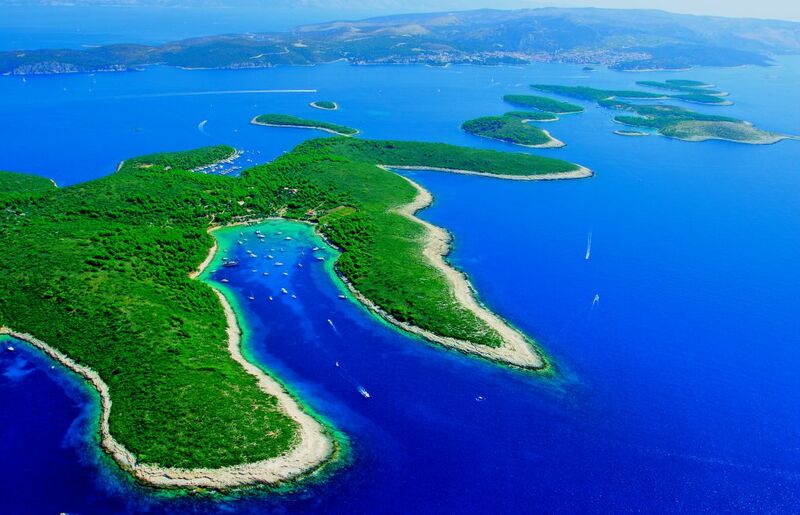 Vis is also known as one of “the forbidden islands” for it was the center of Yugoslav navy and therefore forbidden to tourists. Even today there are many hidden tunnels all around the island that testify to that fact. You can even visit a military base. And from Komiža you can take a daily trip to the nearby island Biševo to see the amazingly beautiful natural treasure, the Blue Cave. Then the cruise takes you to the famous island of Hvar that was rated as one of the top 10 most beautiful islands in the world. 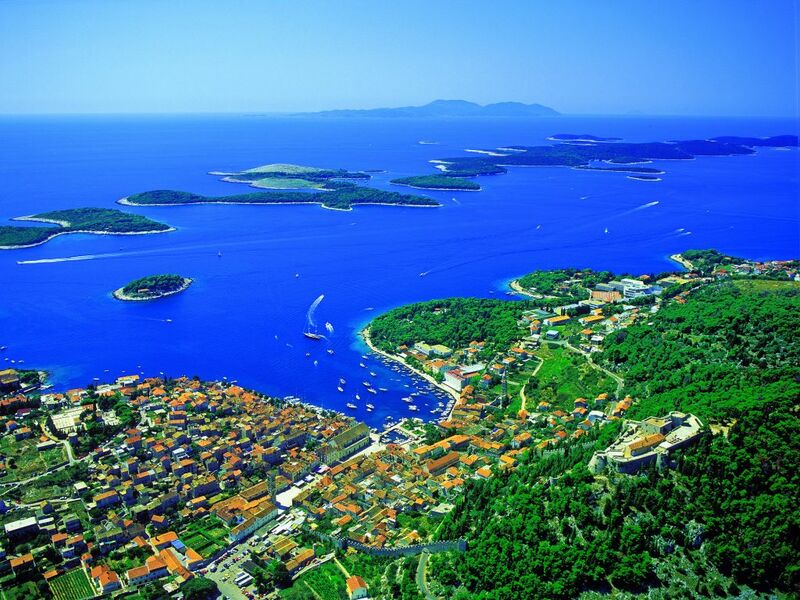 The main highlight is Town Hvar with lots of different sightseeing and hiking options. Hvar is a beautiful Dalmatian town with rich nightlife and numerous excellent restaurants specialized in local cuisine as well as in exotic specialties. For the young, the town guarantees a great time in bars and coffee shops. Those who prefer more relaxing activities will be swept away with its rich history that goes back to prehistoric times. The most unique and the recognizable natural beauty of Hvar are the Pakleni islands (Hell islands), a group of small islands in front of the town of Hvar. The cruise continues towards the island of Korčula and its renowned historic city Korčula, also know as “Little Dubrovnik” and home to famous explorer Marco Polo. The island was inhabited in prehistory which was proven by the finds in Vela Spila that represent the first evidence of Palaeolithic ceramic art at the end of the last Ice Age. According to a legend, the island was also a home to the ancient Trojan hero Antenor who is also known as the founder of Padua. The island was reigned by Greeks, Illyrians, and Romans. The most prominent trace was left by the Venetian Republic, especially in architecture. 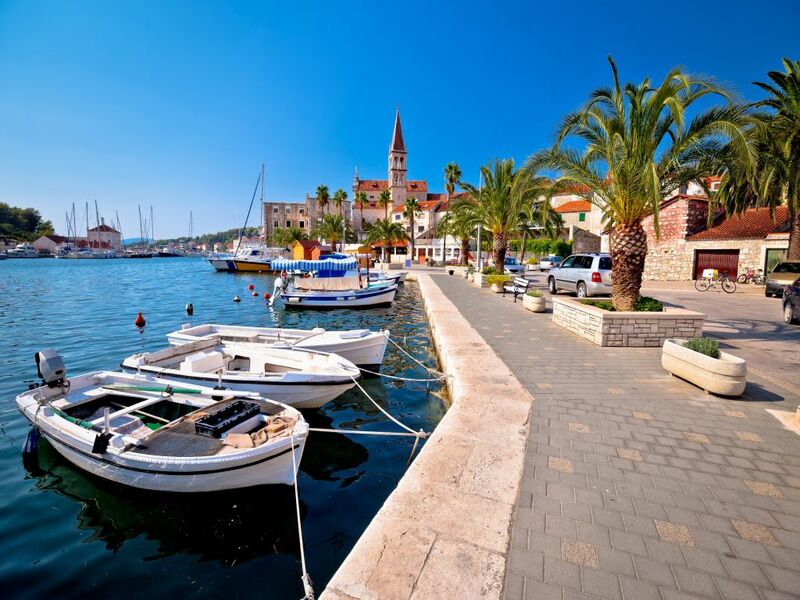 Korčula offers something for everybody, museum and historic sites, restaurants and bars, shops, and amazing places to swim. 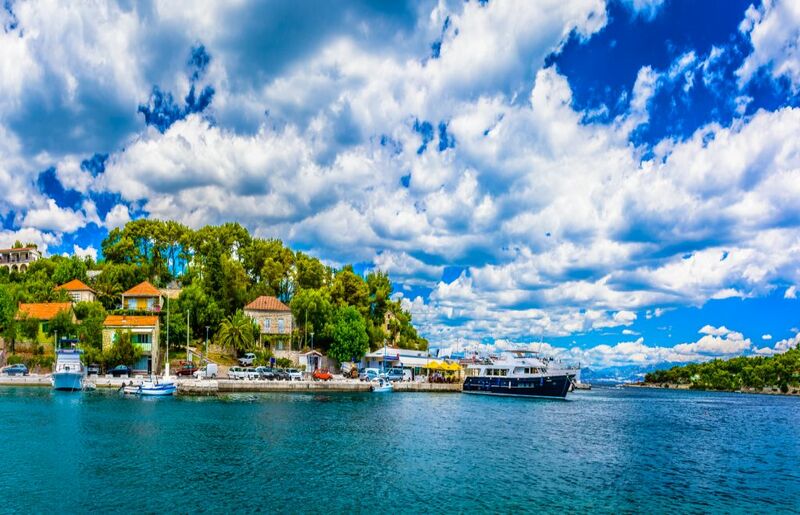 You can end the cruise by visiting the island Drvenik Veli and swimming in the crystal clear, turquoise water of the Adriatic sea. 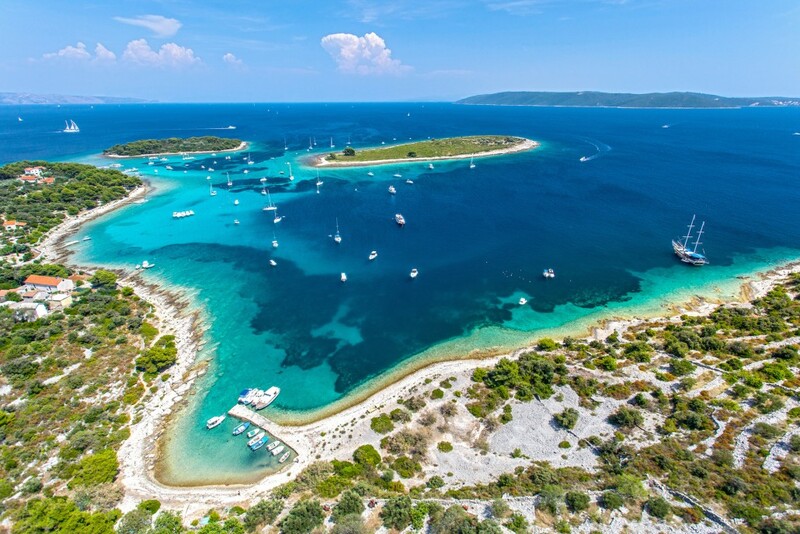 One of the unspoiled natural treasures is the Krknjaši lagoon on the east coast of the island. Beautiful pebble beaches and shallow sandy seabed is a true tropical paradise of this area. There are small coves with sandy shoals along the coast that provide intimacy and are suitable for families with small children. This is the perfect place to conclude the cruise and enjoy the unspoiled nature and the breathtaking Adriatic sea.